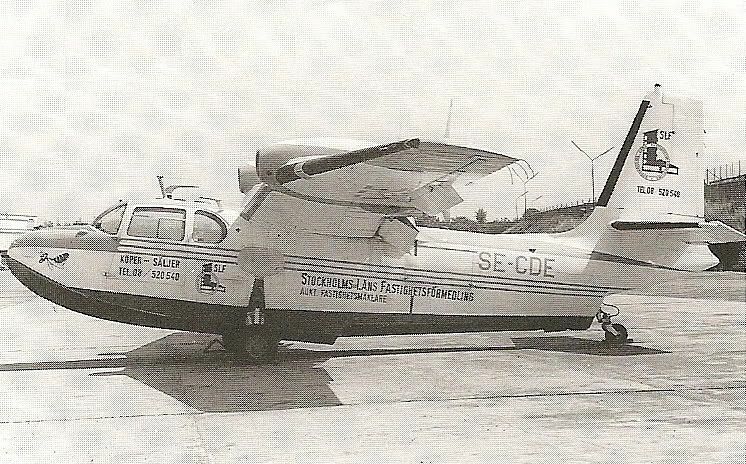 First flown on August 29, 1948 the Piaggio P.136 was one of the slickest amphibians ever built. 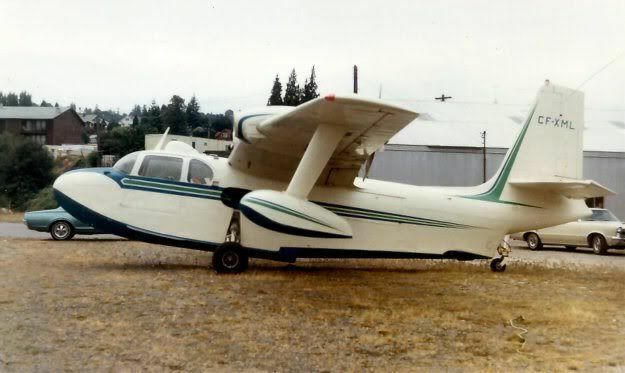 It was built in 3 versions, the P.136F with 215 hp Franklin engines, the P.136L-1 with 270 hp Lycoming engines and the P.136L-2 with 340 hp Lycoming engines. 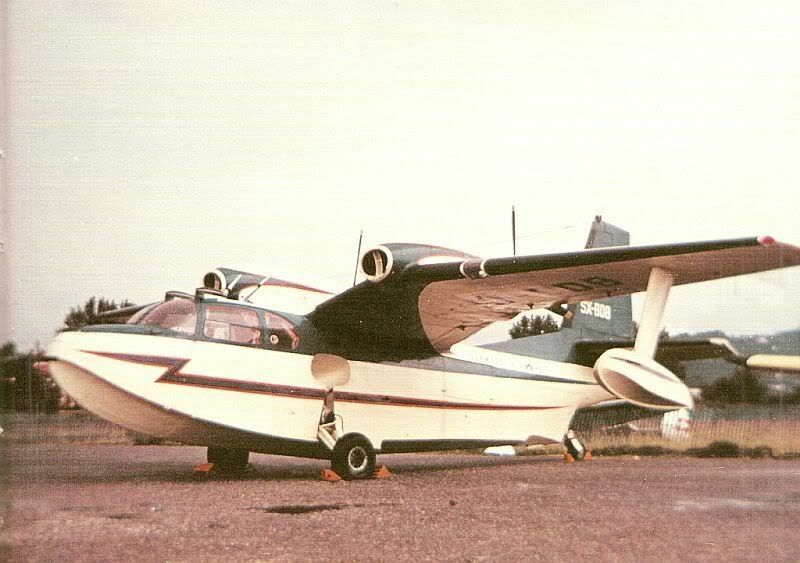 The P.136F had a smaller rounded fin and rudder with a grill over the cowl openings. 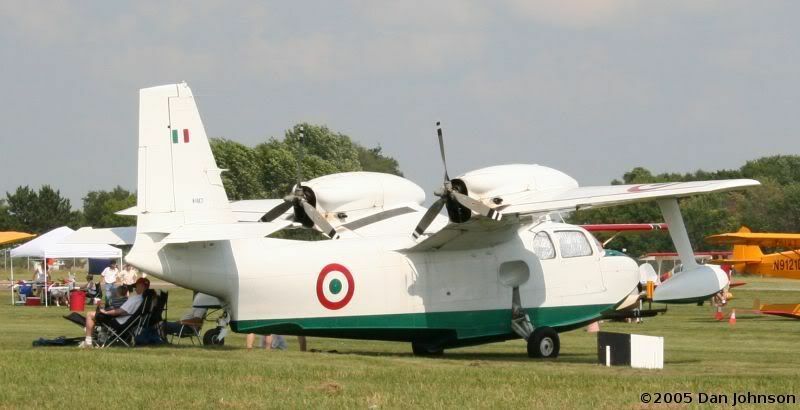 Most of them (15) were delivered to the Italian Air Force for Air Sea rescue. 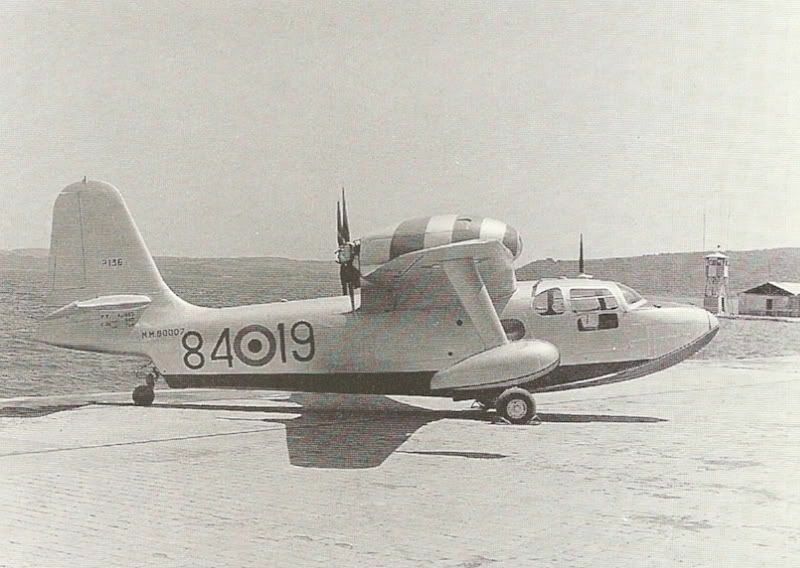 The P.136L-1 and L-2 had a larger fin and rudder and a larger cowl opening without the grill. 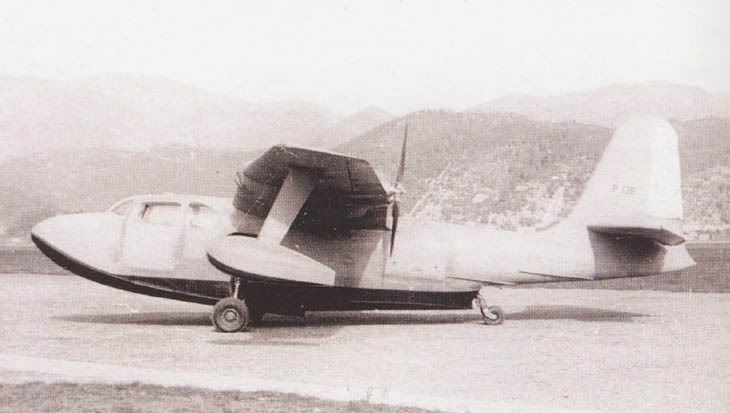 Eight P.136L-1s were sold to the Italian Air Force. 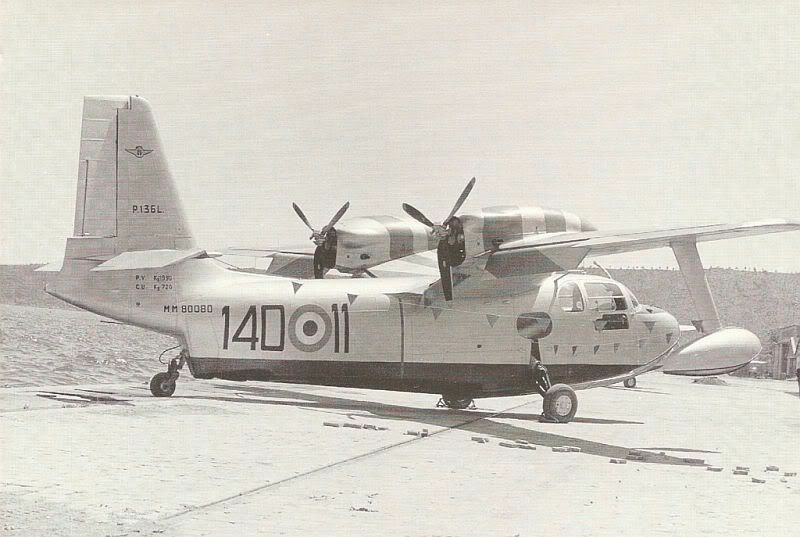 Other L-1s were sold in Europe, Pakistan, Egypt (to King Farouk) and the Far East. In the US, Francis Trecker formed the Royal Aircraft Corp. to market the L-1 and L-2 series airplanes in the US and Canada. 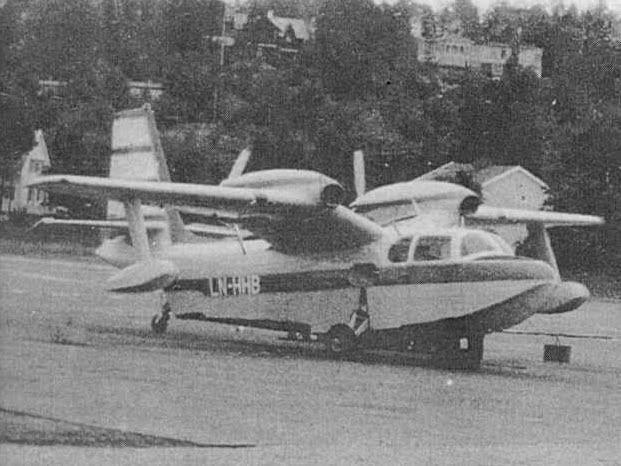 The P.136L-1 was sold in North America as the Trecker Gull. 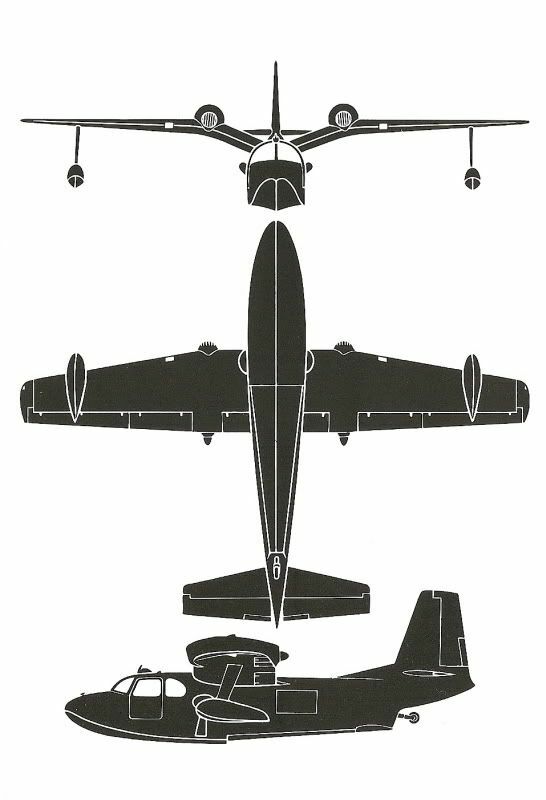 The P.136L-2 can only be distinguished by the larger flat dorsal fin. 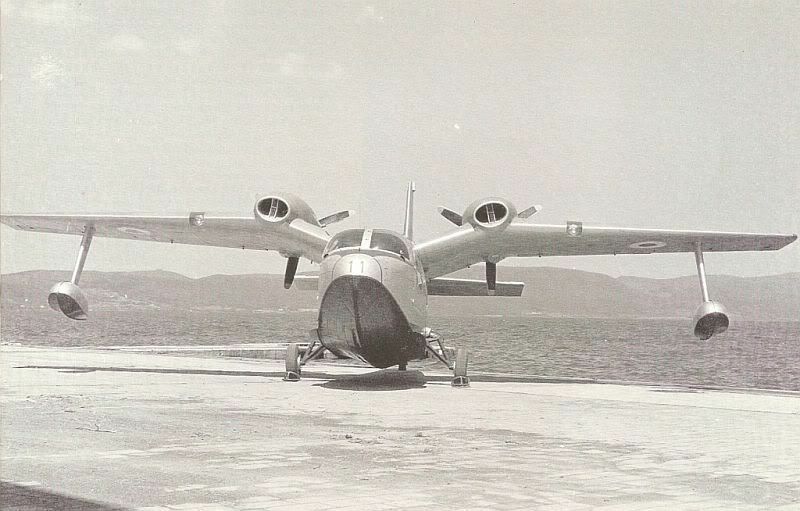 This was Aristotle Onassis' L-2. It was was sold in North America as the Trecker Royal Gull 200. By the 1980s many were found in run down condition and were available for a very low price. 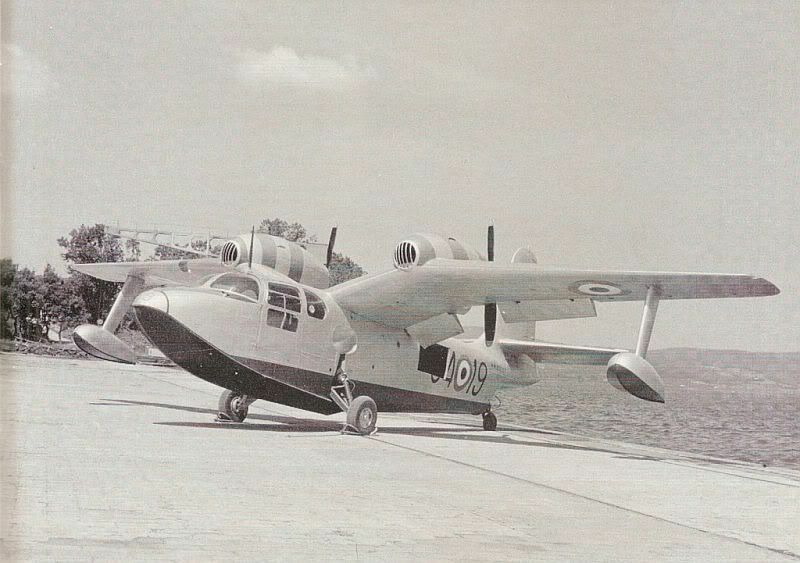 They are now considered to be quite valuable and thought of as the "Ferrari of the Air". 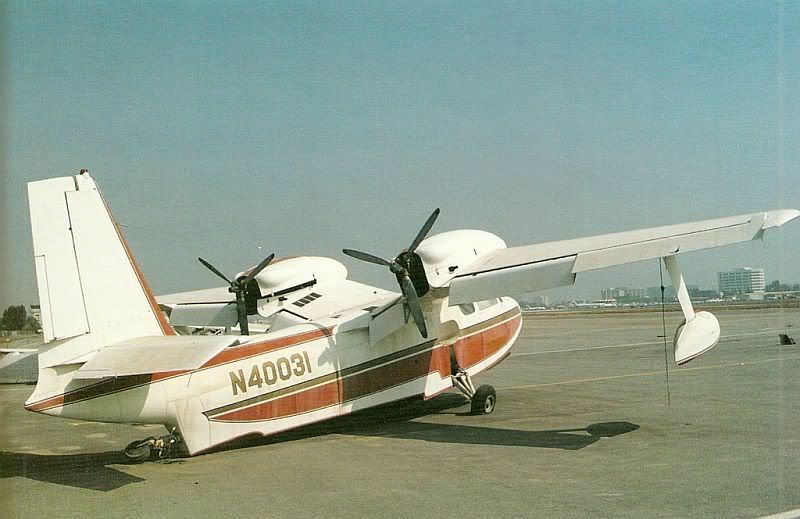 The last of the 63 airplanes built was rolled off the assembly line in 1967 after nearly 20 years in production. 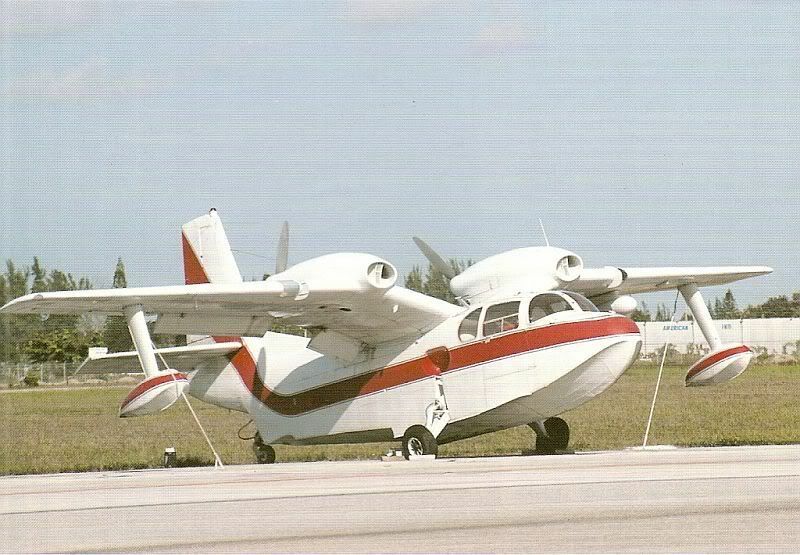 After my query about this little Amphib, and your link to this post thank you! At last, there are some more references for a almost totally forgotten boat! Any idea about the colours (stripes etc.) 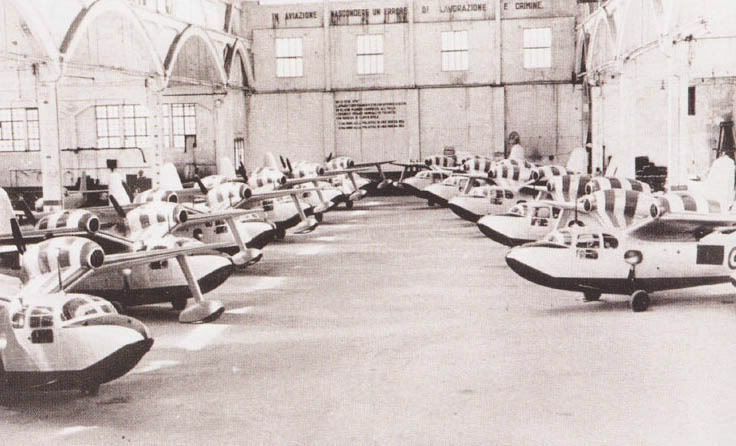 the Italian AF aircraft used? 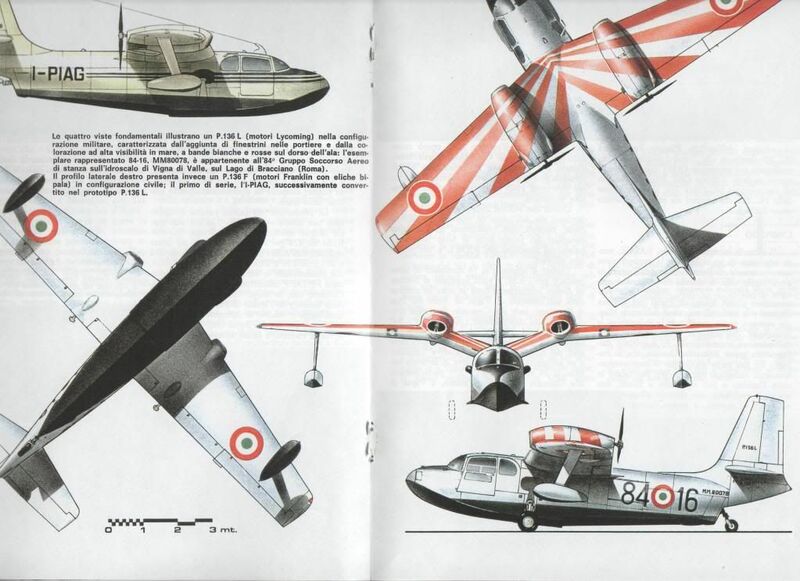 That was the normal pre-war color for Italian AF Air-Sea rescue airplanes. The stripes match the outer ring of the insignia in the B&W photos which is Red. While it's difficult to tell, the stripes radiate out like sun rays from a point on top of the fuselage and are not a constant width. Check the photo of 140 O 11 carefully and you can pick them out. It looks like there are 4 stripes per wing. Also the lower hull looks to be the same shade of Green as the insignia. Excellent... that should be a really good looking boat for a few pics I'll post probably next year! 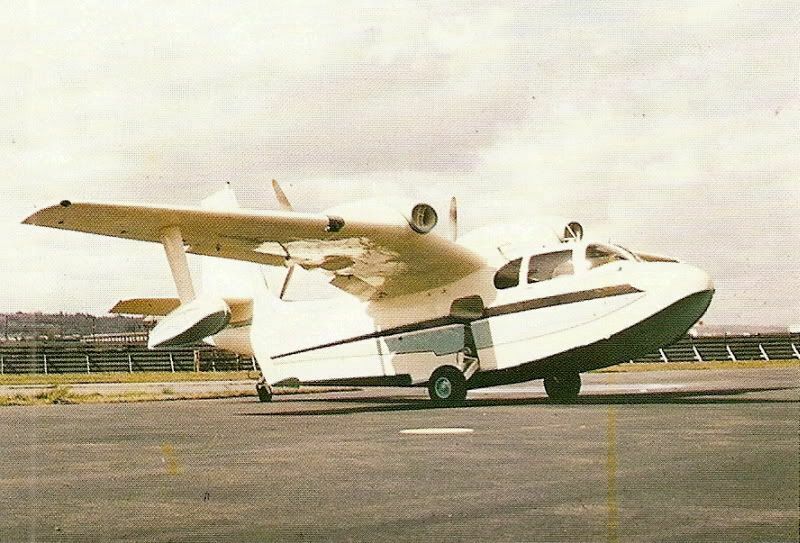 I realize that this is an old thread, but I came across this forum while searching for information on the Piaggio Royal Gull that we are going to restore to flyable. 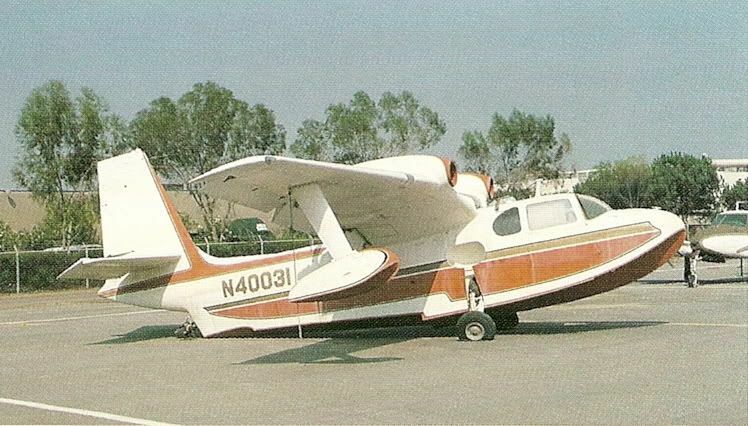 Here is a scan of the paint scheme in question above. BTW, great website, tons of great information!!! 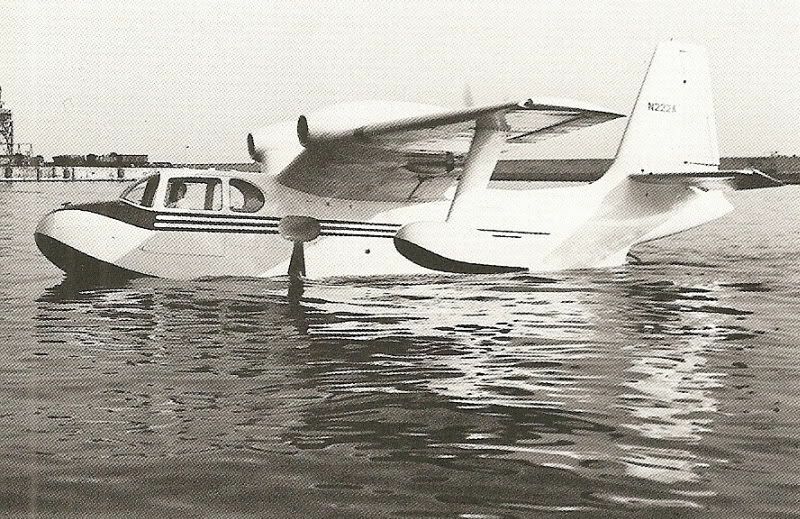 A former Royal Gull owner once told me that the aircraft was built with the left wing a skosh longer than the right one to correct for engine torque. Can anyone verify that ? Ernie Gann owned one and he made the same claim. Somewhere I have an article on the Paiggios and it's also mentioned in there, so I would assume it to be true. Can you tell me which one was owned by Gann? 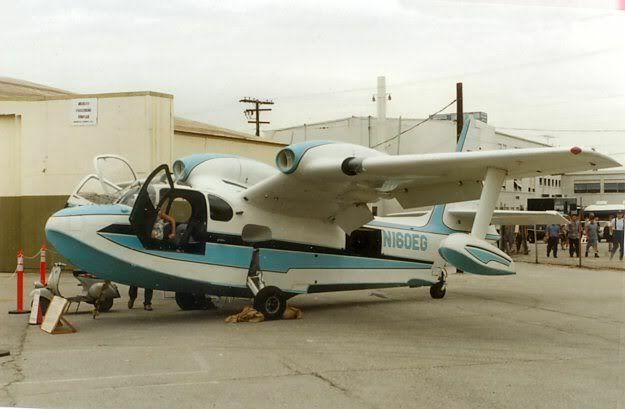 Michael O'Leary, editor of Air Classics magazine, recently told me that whichever one it was it is now sitting derelict at the Van Nuys, CA airport and he has been trying to interest the Museum of Flight in Seattle in buying and restoring it for display there. So far, apparently, no bites. Just like my recent thread about the last McKinnon G-21C literally going to waste, it'd be a shame if somebody didn't do something to preserve that Gull.